A proposal by the School District of Philadelphia to shift the start of the academic year to before Labor Day has the city's largest teachers' union upset over the plan's potential health implications. Revealed at a recent School Reform Commission meeting, the proposals for the 2017-18 and 2018-19 calendar years call for more time in school and a shorter spring break, which is a full week long in 2016. 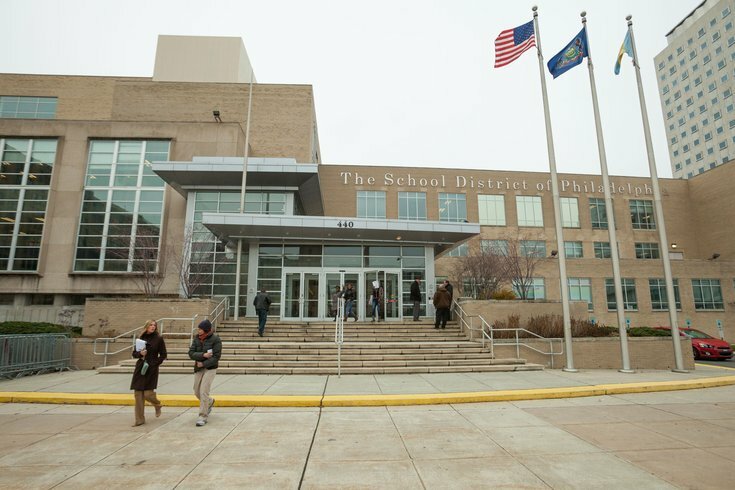 "We are focused on changing the calendar so that it's best for students, parents, teachers and our entire workforce," school district spokesperson Lee Whack told PhillyVoice. "One way to make sure of that is to have more consistent uninterrupted weeks of school. That will improve academic performance and attendance." For the 2017-2018 calendar, the district is proposing a faculty start date of Aug. 28 and a first session with students on Sept. 5, still after Labor Day. The following year, faculty would begin Aug. 20 and students would attend class Aug. 27. Next year's final day of school on June 20 would move up to June 14 in 2018 and June 4 in 2019. Spring breaks would be cut from five days in 2017 to three days in 2018 and then two days in 2019, including Good Friday and potential make-up days for inclement weather. To account for some of the lost time, the district would schedule a greater number of early dismissal days for professional development. Philadelphia Federation of Teachers president Jerry Jordan believes the proposed calendar change represents a threat to the health of faculty and students. "The vast majority of our schools are not air-conditioned," Jordan told PhillyVoice. "The last weeks of August are the hottest of the year. When schools have been closed for that long, going back into the building is unhealthy. The heat just stays in those buildings." While the district said it compared the temperature in June to August and found no significant difference, Jordan questioned whether those months are a fair comparison. "I have taught in buildings that have not been air-conditioned," Jordan said. "I've taught at summer school. I know what it's like when before first period is over, your clothes are sticking to you. You aren't able to accomplish anything when you're that hot, especially when it's hot and humid." More concerning, Jordan said, is the effect an extended calendar could have on students and staff with respiratory issues including asthma and other conditions exacerbated by the heat. The district serves more than 130,000 students and the PFT represents more than 11,000 men and women who work in Philadelphia public schools. "The school buildings in Philadelphia are old," Jordan continued. "Just yesterday, the district testified at Overbrook High School that it will cost about $5 billion to deal with repairs in the schools." On Monday, state officials involved in the PlanCon Advisory Committee of the Pennsylvania Association of School Business Officials heard from the school district during visits to Overbrook High and Upper Dublin High School. To obtain funding through that program, schools must demonstrate that desired renovations serve an educational purpose. "Any time you're making changes, there can be some concerns and certainly some valid concerns," Whack said. "We have been in touch with many of the folks who would be affected, including school dining staff, SEPTA and bus drivers." The district hopes a revised calendar will better align Philadelphia schools with other Pennsylvania districts. Apart from local charters tending to start before Labor Day, Whack said Harrisburg schools began Aug. 22 this year and Pittsburgh schools opened on Aug. 29. "Our data has shown us that more insturctional time earlier in the year increases attendance and helps improve academic performance," Whack said. Jordan countered that the physical plans of many other school buildings, particularly Philadelphia's charter schools, aren't impacted by the same health issues because they are equipped with central air conditioning. Earlier instruction won't make much of a difference, he suggested, if students and faculty can't maintain focus. The fate of the district's plan will be decided by the School Reform Commission at its next meeting on Dec. 15. In the meantime, for a brief window through this week, the district is seeking public comment on the calendar proposals through an online survey.